When you need concrete services in Waco and Temple, TX, there’s only one name to trust. The professionals of eSquared Asphalt Maintenance can provide comprehensive, knowledgeable completion of any installation, repair, or cleaning and restoration concrete project, and deliver quality, customized results without breaking your bank. When you need reliable concrete services in Waco and Temple, TX, call the experts at eSquared Asphalt Maintenance at 254-716-8685 for quality workmanship you can trust. Whether you’re looking to create a new look with a walkway installation or you want a great patio space for entertaining, our skilled team has you covered. We will listen to your project goals to provide detailed information about beneficial materials and their costs, advantages, and lifespans, as well as installation procedures, project timeline, and maintenance tips to ensure that you are completely satisfied with your finished product. When you need knowledgeable concrete installation service for your home, call our professionals at 254-716-8685. Asphalt Driveway Installation If you are interested in an asphalt driveway for your home, you can rely on the experts at eSquared Asphalt Maintenance for help. Asphalt Parking Lot Install & Repair Find out how a new asphalt parking lot can drastically improve your business immediately. Concrete Bordering and Curbing Discover why more people are turning to concrete bordering in lieu of plastic and stone to keep their yard’s spaces beautiful and erosion free. 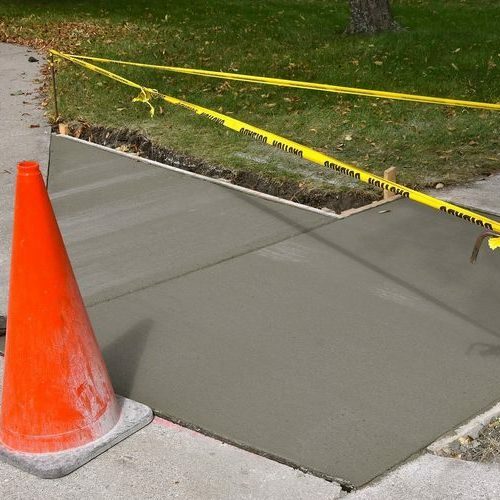 Concrete Driveway Installation & Repair For your home’s driveway, trust the professionals with experience and know-how to create a smooth uniform finish that lasts and lasts. Concrete Patio Pour & Install Service Revive your home’s outdoor space with a customized patio that compliments your home’s style and tones. Concrete Stamping Bring vibrancy and style to any deck or patio with completely customized concrete stamping. Concrete Walkway Installation Learn how a concrete walkway can add depth and dimension to any space or area with minimal effort or upkeep. Flagstone Walkway Installation Company For the look of old world cobblestone with the convenience of concrete, try a flagstone walkway installed professionally by our experts. Rock & Concrete Retaining Wall Install Company To prevent erosion and washouts, our experts can build a beautiful and personalized retaining wall from stone or concrete. Over time, your concrete can become deteriorated and worn from hazards like water, wind, and UV rays. When your concrete begins to show signs of aging, contact our professionals for complete repair and restoration services. Our knowledgeable team can not only repair your concrete structure but provide specialty concrete decoration and stamping for a truly unique appearance. When you’re in search of reliable concrete restoration or repair, call our professionals at 254-716-8685 to complete your project quickly. Our trained, experienced staff can complete any concrete project you may have with professionalism and know-how to ensure your complete satisfaction. Our work is time-tested and can bring your space back to life with personalized flair. When you need quality, reliable concrete services in Waco and Temple, TX, call our experts at 254-716-8685 to discover what makes the eSquared Asphalt Maintenance team better than the rest. Asphalt Overlay Do you have damage to your asphalt driveway, parking lot, or another area? Call us for asphalt overlay services. Concrete Joint Sealing Service Prevent the effects of contaminants in your concrete joints with a professional joint seal application. Concrete Stamping Try concrete stamping for a customized look that lasts for years and resists fading and deterioration without the exorbitant price. Concrete Waterproofing Service Ensure your concrete is protected from early deterioration caused by water with a professionally applied waterproof seal. Crack Repair Whether your asphalt or concrete is cracked, we can offer high-quality and professional crack repair. Specialty & Decorative Concrete Our professionals can custom create a hand worked pattern or design that creates style and elegance in any concrete construct. Updated on March 21, 2019 at 10:44 am by eSquared Asphalt Maintenance.